It’s been one month since the New Year began (that was fast! ), and I’m wondering whether you’ve started trying to tackle your resolutions, or like a friend of mine prefers to call them, “intentions”. “Intention” does sound nicer, less heavy, doesn’t it? I’ll call it that for the remaining of this note! I’d love for you to succeed with your 2019 goals and intentions. I’m pretty sure that back in December when you set up your goals for 2019, you were feeling excited about a fresh start, as we all are at the end of the year. However, there are many things you need to take into account in order to be able to achieve your goals. You must prepare yourself for the reality that there will be obstacles along the way. This isn’t to make you feel depressed. On the contrary, by knowing now what may get in your way you’ll be more likely succeed. And even if you don’t accomplish every goal you set for yourself, you’ll definitely be able to focus on the most important one(s). Think about last year and ask yourself what was the one thing that got between you and your accomplishments? If you’re like most of society, you have a tough time tackling work, health, family, and chores on a daily basis because of LACK OF TIME. So, if you don’t prepare for it, no miracle will help you. Know that when you think about HOW you’ll achieve those goals and WHAT you need to set in place, your chances for success will increase tremendously. Here’s HOW I can help you (this is actually one of my intentions for 2019!). As a personal concierge, I’m constantly looking for ways to help as many people as possible. I really, really, really want you to accomplish any intentions that ultimately will bring you the joy and fulfillment you’re looking for. To help you have more time so you can succeed with your goals, I’ve added two additional packages (with impossible to resist discounted rates) to the retainers and the one-time service package I already have in place. 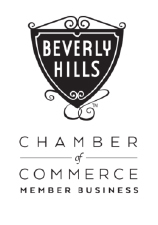 – 10 hours of Personal Concierge Services for $650. 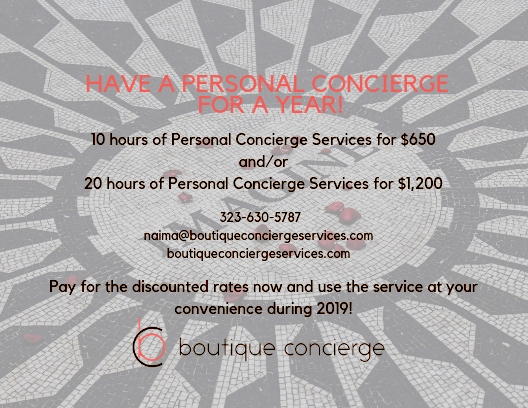 – 20 hours of Personal Concierge Services for $1,200. Now, imagine how much you can get done by using one of these. 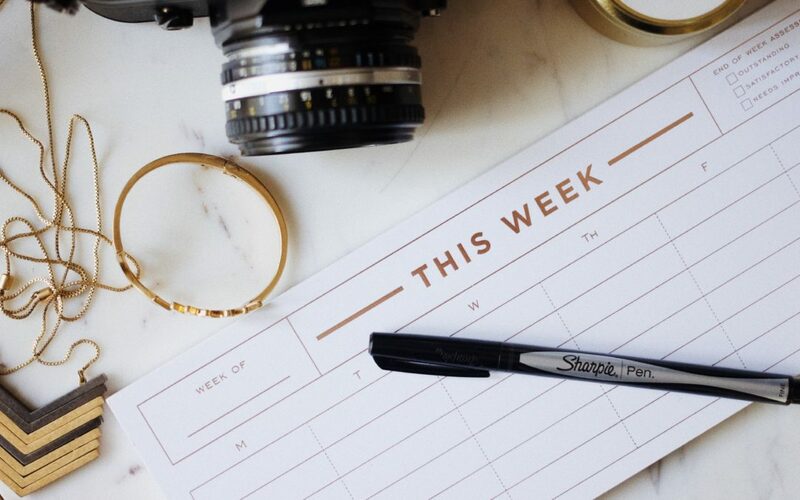 These packages not only will free up your time, but you’ll have a personal concierge from Boutique Concierge who will work on the chores and tasks that constantly pile up in your to-do list and that you don’t have the time to get to anymore. Do you need more hours? No problem, there’s no limit to how many packages you can purchase. Let me know if you have any questions and please feel free to share this information with anyone who may be struggling with stress and work overload. I can’t wait for you to succeed this year!